Browsing articles tagged with " shaving"
Showering is easy to understand. If you don’t shower, you start to stink. Combing the hair is easy to understand too, because it would be a mess if you didn’t comb it. If you don’t brush your teeth, they rot and fall out. And dressing, obviously, is a necessity. Shaving is the removal of body hair, using a sharp blade known as a razor or with any other kind of bladed implement, to slice it down to the level of the skin. 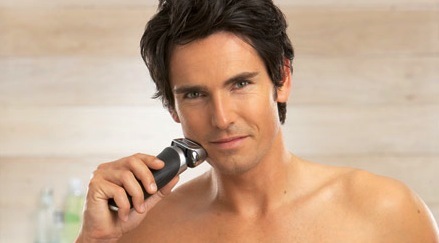 Shaving is most commonly used by men to remove their facial hair, and a man is called clean shaven if he has had his removed totally. Men have been shaving forever. Cavemen probably shaved with stone knives, and there’s some suggestion that they may even have trimmed their hair with fire. Beards can be uncomfortable, and they easily get nasty because they trap food. But why is it that, for a majority of men, all facial hair must be removed? There certainly isn’t any health reason to shave it off. Why would we spend the time and money to go through this hair loss ritual each and every day?